The Thunder Bay Double Bit Belt Hatchet is a rugged and effective double-bladed axe that features twice the cutting power of lesser hand axes and hatchets. One blade of the axe is styled for chopping, while the other is designed purely for splitting. With its impressive and effective double bit design, this rugged axe has the weight required to put real power behind every swing. The axe head is made from cast 440C stainless steel using a special method that ensures both incredibly detailed work as well as impressively strong steel. The hatchet also features a truly impressive looking finish that gives it an authentic, forged look that definitely makes this axe look like it belongs to a rugged mountain man or outdoors enthusiast. The handle is made from authentic American hickory, which has been specially selected in order to ensure proper grain orientation, which gives the axes haft a measure of strength and durability, as well as a level of comfort when held and used. Included with the hatchet is an adjustable leather sheath that features a swiveling belt loop. 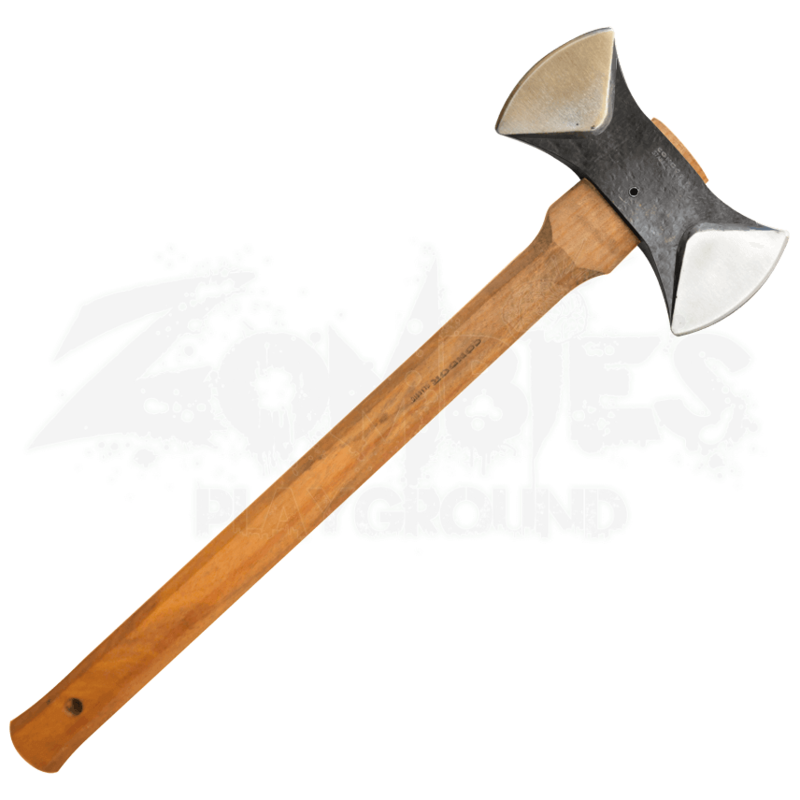 The axe head measures 5.5 inches long and features two 2.625 inch long cutting edges, while the overall length of the hatchet is 12 inches. If you are looking for a camping axe or hatchet that can do multiple tasks around the woods and the wild, then you will find the Thunder Bay Double Bit Belt Hatchet is definitely the right hand axe for you.